Julia Marino of the United States takes a fall in the slopestyle finals during the Dew Tour event Saturday, Dec. 16 at Breckenridge Ski Resort. Alex Ferreira of the United States competes in the pro ski superpipe finals during the Dew Tour event Friday, Dec. 15 at Breckenridge Ski Resort. Ferreira took home first with a high score of 94.66. Gus Kenworthy of the United States competes in the team challenge slopestyle jibs competition Sunday, Dec. 17 at Breckenridge Ski Resort. Aaron Blunck of the United States competes in the pro ski superpipe finals during the Dew Tour event Friday, Dec. 15 at Breckenridge Ski Resort. Olympic hopes both remained and were dashed on Wednesday for snowboard slopestyle and ski halfpipe athletes at a final U.S. Olympic qualifier at Mammoth Mountain where a high volume of American talent is on display. 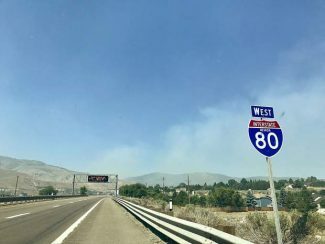 At this week’s Toyota U.S. Grand Prix at Mammoth Mountain Ski Area in California, the final spots on the U.S. ski and snowboard halfpipe and slopestyle teams will be determined. With much of the top international snowboarding talent competing at this week’s Olympic-qualifier Laax Open World Cup event in Switzerland, 59 Americans comprise the 67 total entrants to the men’s and women’s snowboard slopestyle and halfpipe competitions. 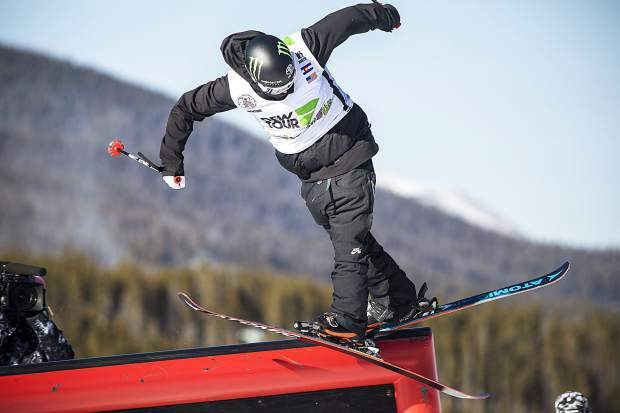 On Wednesday, fresh off of clinching his Olympic berth at Snowmass last week, Silverthorne’s Red Gerard easily qualified in first place in the snowboard slopestyle competition, which featured 18 Americans of 22 competitors. Gerard’s second run of 94.75 was more than six points better than second place qualifier Ryan Stassel’s 88.00 and third-place qualifier Eric Beauchemin (86.75). Kyle Mack, 20, of West Bloomfield, Michigan — who resides in Silverthorne in the winter — kept his Olympic hopes alive by qualifying in fourth place on the strength of a second run that earned an 84.00. Americans comprised five of the other six competitors who qualified for Saturday afternoon’s final, including Charles Guldemond (83.50), Brock Crouch (83.00), Lukas Kaye (82.00), Lyon Farrell (80.50) and Chandler Hunt (68.75). Along with fellow Silverthorne snowboarder Chris Corning — who elected not to compete in this week’s competition — Gerard is already qualified for the U.S. snowboard slopestyle and big air team for next month’s Pyeongchang Winter Olympics. With 2,000 qualifying points apiece after four of five qualifying events, Gerard and Corning are the only two snowboarders to clinch berths thus far. Hunt and Stassel each entered this week with 1,400 qualifying points, though Stassel still needs the minimum criteria of a podium finish this Saturday to be eligible for the team. 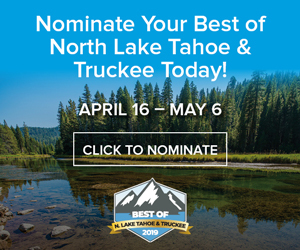 Judd Henkes was fifth in qualifying with 1,100 points heading into Mammoth, but he failed to qualify for the Saturday final and is still without a podium finish. That opens the door for the hopes of both Mack and Crouch, who entered this week’s Mammoth event in sixth and seventh places respectively with 1,000 and 950 qualifying points. Mack also has in his back pocket a previous podium finish. 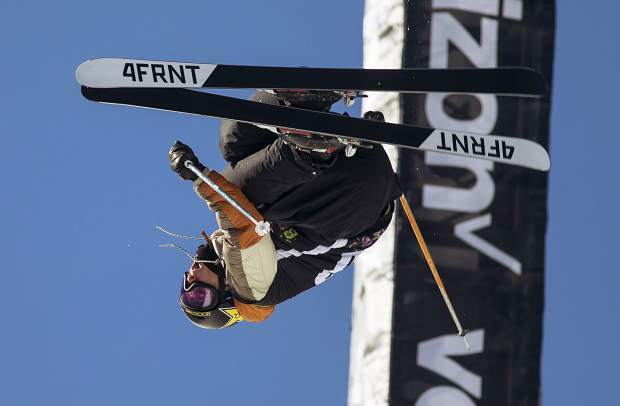 Summit County snowboarder Dylan Thomas failed to qualify for Saturday’s final after entering the competition in 10th place with 800 points and a podium finish last year at Mammoth. With only one automatic spot up for grabs on Saturday, expect the snowboarders currently residing in the top seven qualifying spots — Hunt, Stassel, Mack and Crouch — to push for the podium, though landing there is more crucial for Stassel and Crouch. A fourth Olympic spot may be determined next week at the discretion of the coaching staff. American women comprised 11 of the 12 entrants into this week’s snowboard slopestyle event, and led by Jamie Anderson’s 93.50, the U.S. qualified into all eight spots for Saturday’s final. 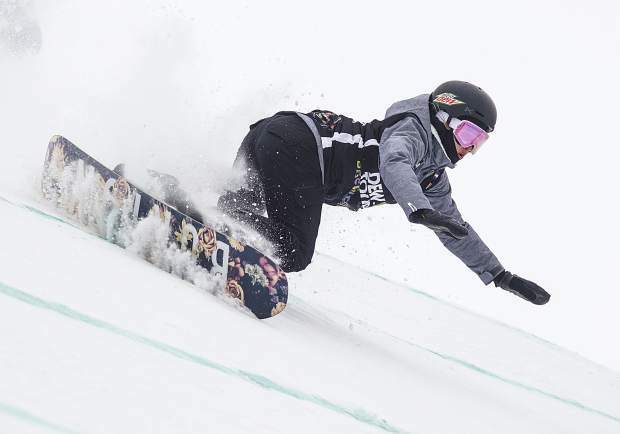 With 2,000 Olympic qualifying points, Anderson is the only officially qualified snowboarder heading into Friday’s Mammoth final, and the woman that took second place on Wednesday with a run of 88.00, Julia Marino, is also in second overall with 1,600 qualifying points. At 1,600 points and with one previous podium finish, Marino is deadlocked with Hailey Langland in second place, and Langland qualified for Saturday’s final with a fourth place score of 70.25 on Wednesday. That was behind third place finisher Nora Healey’s 71.25 score, though Healey is not in Olympic contention. The other three snowboarders who have a chance of qualifying to go to Pyeongchang are Jessika Jenson (1,600 points, no podium), Ty Walker (1,300 points, no podium) and Haille Soderholm (920 points, no podium). All three qualified in spots five (Walker), six (Jenson) and seven (Soderholm) on Wednesday to keep their Olympic hopes alive. With two automatic berths and potentially one more objective spot out there for the taking between five contenders who will also be snowboarding on Saturday, how exactly the final results shakedown will provide Olympic clarity. Walker and Soderholm are each still mathematically in contention, but both can’t make it objectively, as each individual needs to win on Saturday to have a shot. This week’s Mammoth event is also the final qualifier for men’s and women’s ski halfpipe athletes, and on Wednesday, American men booked all 10 spots to Friday’s final while American women qualified in the top five slots. Four of the five American men who still have a chance to land on the Olympic team qualified on Wednesday for Friday’s final, led by first-place qualifier Gus Kenworthy of Telluride (94.60), second-place qualifier Aaron Blunck of Crested Butte (94.00) and third-place Torin Yater-Wallace of Basalt (93.00). 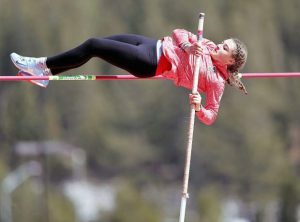 Heading into Wednesday’s Mammoth qualifying round, Taylor Seaton of Avon ranked in sixth in Olympic qualifying with 92 points and one podium finish. But he just missed keeping those Olympic dreams alive on Wednesday as he was the first competitor outside of the cutoff line, finishing in 11th place with a score of 77.00. Also qualifying for Friday’s Mammoth final were already-Olympic qualified David Wise (92.60), Olympic contender Alex Ferreira of Aspen (88.20) and Americans who are not in contention for Pyeongchang qualification Birk Irving (87.00), Kyle Smaine (80.20), Hunter Hess (78.20), Jaxin Hoerter (77.60) and Jake Mageau (77.40). 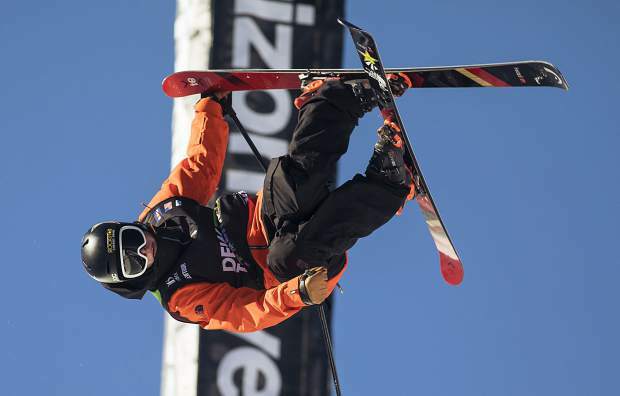 What has been perhaps the U.S. freeski team’s tightest competition will near resolution on Friday as Ferreira (180 points) sits in second place in Olympic qualifying behind the already-qualified Wise (200 points) and already has the required two podium finishes. 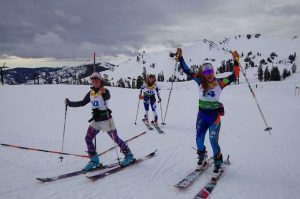 Yater-Wallace sits in third place with 150 points and needs a podium finish at Mammoth on Friday to meet the minimum objective criteria. Blunck (140 points) is in the best position of the remaining skiers to move up to become one of the three automatic qualifying spots, as with two podiums already he just needs to finish Friday in the top three in Olympic qualifying points. Like Yater-Wallace, Kenworthy (116 points) needs a podium, and perhaps more than that, to automatically qualify. However it shakes out, the U.S. ski team may also pick a fourth Olympian as a discretionary selection next week. Ferreira has a good chance to get one of those two spots, as there are quite a few scenarios which would qualify him for the team. A top-two finish would do it for sure, but he could also finish lower and get some help. In Wednesday’s ladies ski halfpipe qualifier, already-Olympic qualified Maddie Bowman earned the top score of 91.80. It’s a battle between Devin Logan (130 Olympic qualifying points), Brita Sigourney (130), Annalisa Drew (95) and Carly Margulies (72) to join Bowman in South Korea and each of those four contenders qualified in the top five for Friday’s Mammoth final. On Wednesday, Sigourney earned the second-highest qualifying score (91.00), Logan (86.00), Margulies (84.60) and Drew (83.40). Both Logan and Sigourney already have strong cases, but they can book their Olympic trips to South Korea with a podium finish on Friday. As for Drew and Margulies, whether or not the U.S. ski team uses a discretionary spot for one of them could hinge on how they perform on Friday.